International Metal Products has been in business for over 100 years serving the high quality stamping and finishing needs of the world. 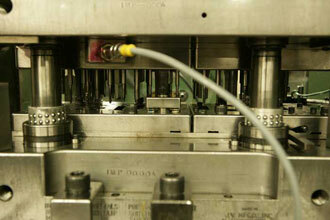 We specialize in high volume precision Stamping with full finishing capability in-house. We are a vertically integrated manufacturing facility with high speed Stamping, Austemper Heat Treating, Deburring, Burnishing and Decorative Plating processes that consistently produce functional and cosmetic quality parts. IMP's personalized, step-by-step service, from customer print to prototype sampling and finished production components ensures that all customer requirements are met with on-time delivery and the highest standards of quality. IMP's core strengths include our ability to produce large volumes with jewelry quality finishes quickly. Please take a walk around our website for more information about IMP. For the past 18 months International Metal Products has been working diligently to develop a Pen Clip made of Stainless Steel which will conform to the European Nickel Directive 94/27/EC and its related testing method, EN1811. 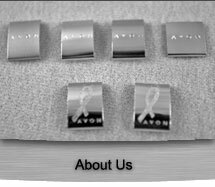 We are pleased to announce that we are in the final stages of development and will be offering our new Stainless Steel Pen Clips across our product lines in the near future. We invite you to consider this alternative to your traditionally nickel-plated products and welcome any inquiries you might have.